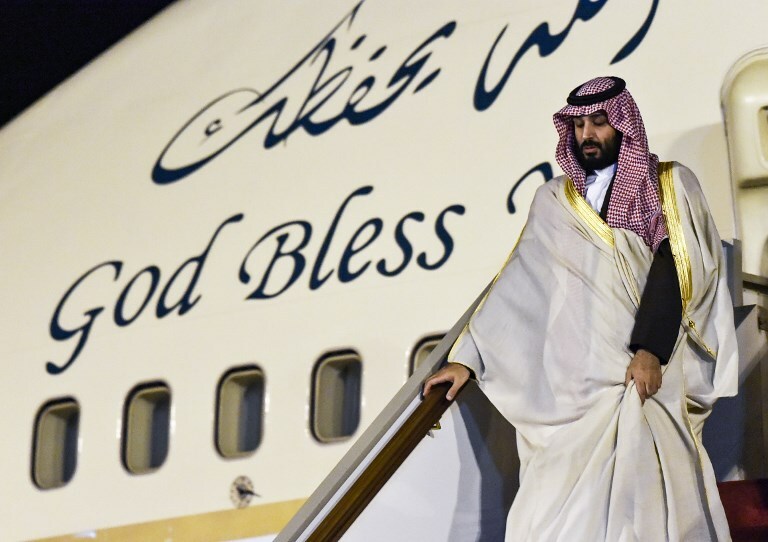 Although the aggressive campaign against the Kingdom following the murder of the journalist Jamal Khashoggi, nevertheless, the Crown Prince Mohammed bin Salman didn't bend to the storm and he wanted only to be present at G-20 summit which held in Argentina, plus being one of the major who decide the fate of this world politically and economically. Crown Prince knows that the campaign doesn't target him personally but it targets the Kingdom and it Arab, Islamic and international position. He knows also that the campaign won't stop whither he attends the summit or not. So, he decided to break into the scene and not to disappear, because if he didn't attend, he would have given the chance to those who try to blame him and held responsible for the murder of Khashoggi. Crown Price succeeded in besieging those who claimed that he was trapped and he regained his global presence which he made thanks to his effort and by his tours in the world capitals in order to explaining his vision of building the modern state. According to the reports of AFP, crown price was the summit's star that the spotlight was focused. In addition, he met with 12 leaders from China, India, South Korea, Britain, France, Canada and Mexico. Most notably Russian President Vladimir Putin who shook Crown price warmly and is expected to visit the Kingdom next year. After and before this summit, Crown Price has visited a number of Arab countries with a special focus on North African countries beginning from Egypt passing through Mauritania, Tunisia and Algeria. These visits may seem to others formality and protocol, but these visits were in fact part of strategic perspective of deepening political, economic, security and cultural cooperation with these countries, some of which, like Mauritania and Tunisia, were not receiving sufficient attention in our foreign policy. The kingdom's gift to Mauritania came in the announcement of Information Minister Awad Al-Awad, in which the Kingdom planned to build the King Salman Hospital to be the largest hospital in Mauritania. The visit of the Crown Prince and his accompanying delegation to Algeria may be the most important step in this tour. Both sides agreed to establish a higher council for Algerian-Saudi coordination in the fields of economy, trade and investment, as well as energy, mining, culture and education. On the margins of the visit, the Algerian-Saudi Forum was held, which ended with five major projects agreed between Algerian and Saudi businessmen. And it is more important not to stop and to keep the hard work and not to leave the arena for others. The presence of the Crown Prince of the G-20 Summit and his Arab tour represents an important step in effective positive action rather than a passive waiting. Thus, the presence of the crown prince of this summit required his great courage and audacity. He is the only one capable of confronting the critics as he knows that any retreat will encourage them to persistent. He has proved his strength against the storm personally and has shown his willingness to sacrifice in order to preserve the kingdom's reputation, and he realizes that the country is more important than individuals, no matter how high their status.